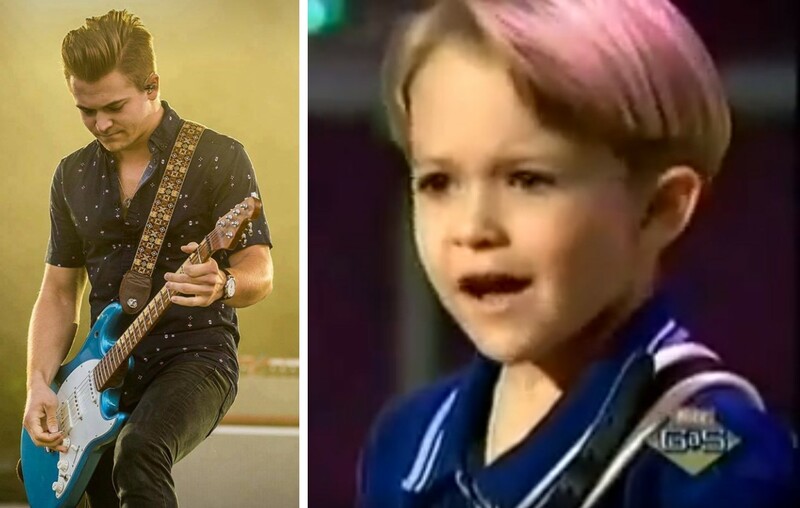 Watch Young Hunter Hayes on Nickelodeon's "Figure It Out"
Country music artist Hunter Hayes was featured on Nickelodeon's "Figure It Out" television show back in 1998! Watch him as a six-year-old here! Throwing it back to 1998, Hunter Hayes made his first appearance of stardom as he aroused a live audience and panel of judges on Nickelodeon’s Figure It Out. Prior to his appearance on Figure It Out, (at just four-years-old) the little star was on stage with Hank Williams Jr. singing “Jambalaya” for a large audience while playing his accordion. Watch that moment below! The country star released his newest single “One Shot” back in August and is available everywhere. Billboard referred to Hayes’ new song as an “instant party anthem.” Check out the animated music video! Share this cute look back with other Hunter Hayes fans!